Error:Your email address or password is incorrect. Please try again. Error:Email address not found. Please check and try again, or click Close. Your login details have been sent to your email address and should arrive shortly. Say thank you to your mother figure this Mother's Day by sending her a stunning floral arrangement. Elodie is overflowing with a mix of roses, chrysanthemums, alstroemeria, snapdragons and more, in beautiful colours she will love. Surprise her with this touching gift. Complement your gift to make it even more special. Most of our arrangements are available in two sizes; standard and premium. The images featured on the website represent the standard value size of the arrangement. When you choose the Premium value size your arrangement will be increased in size and/or flowers or container value. Some of our hampers are available in two sizes; standard and premium. The images featured on the website represent the standard value size of the hamper. When you choose the Premium value size your hamper will be increased in size and content value. Interflora will deliver flowers and gifts to virtually anywhere in Australia and almost anywhere in the world, where fresh flowers are available. Naturally, our delivery service is subject to local conditions. Delivery is usually available within 24 hours, but occasionally may be longer, depending on time zones and local conditions. Some areas in some countries (including Australia) are classified as restricted delivery areas. Deliveries to these locations may take up to 48 hours. A $11 delivery fee will be added to your order. This fee covers delivery of your flowers or hampers anywhere in Australia or around the world. There is no more to pay. Deliveries of hampers to the UK can take at least 2 working days from your date of order. Deliveries of hampers to the USA & Europe can take between 3–7 working days from your date of order. All hamper deliveries to the UK, USA & Europe will be made Monday to Friday during normal business hours. All prices are shown in Australian dollars & include all taxes, where applicable. The standard price is representative of the product pictured. The premium price (if selected) indicates an increase in size and/or flower or gourmet food or container value. All Interflora designs illustrated are a guide to the style of flowers, gourmet foods and gifts that will be delivered. Flowers, gourmet foods, containers and accessories may vary according to regional and seasonal availability, or when they do not meet our quality standards. Some items may not be suitable to be sent to tropical areas. In some cases, substitutions of equivalent value and quality may be necessary to fulfil your requirements. In some cases, some flowers may be delivered in bud to provide longer enjoyment. Please ensure you provide a correct contact number for the recipient to ensure deliveries can be made without delay. 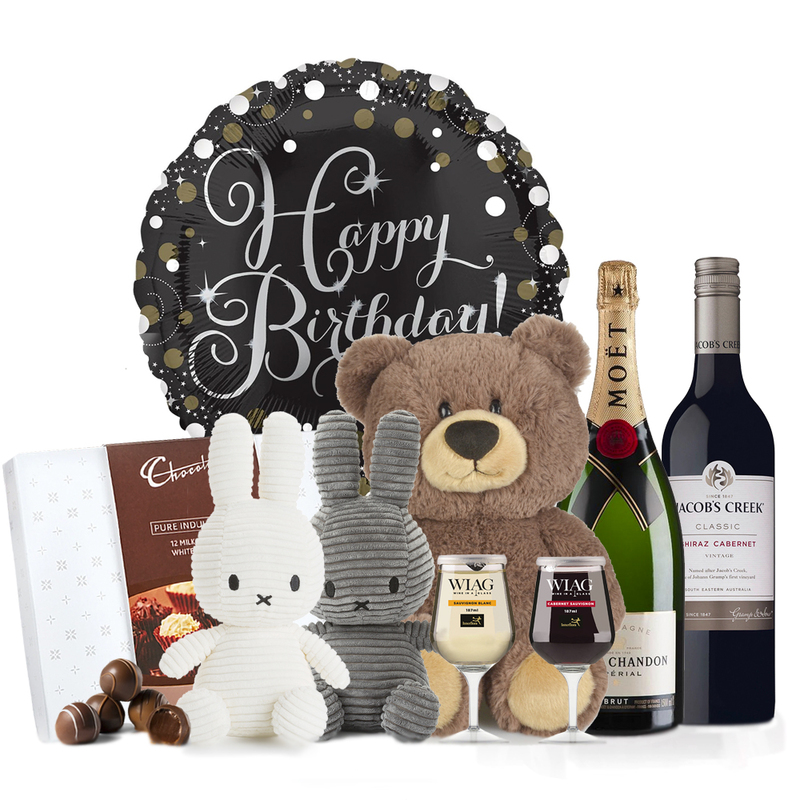 Please also note that accessories such as wine glasses and plates are not included in the hampers.